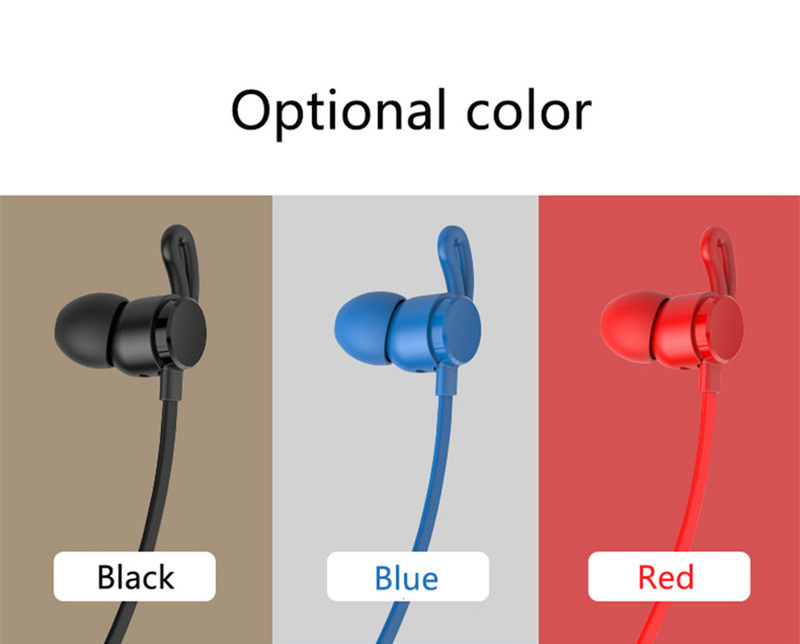 ● Light to 24g + skin friendly coatings, use comfort and nothing . 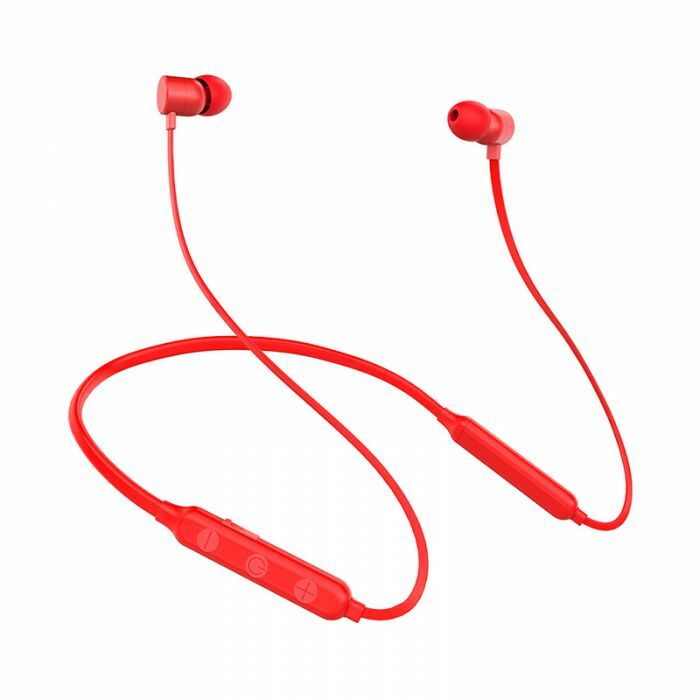 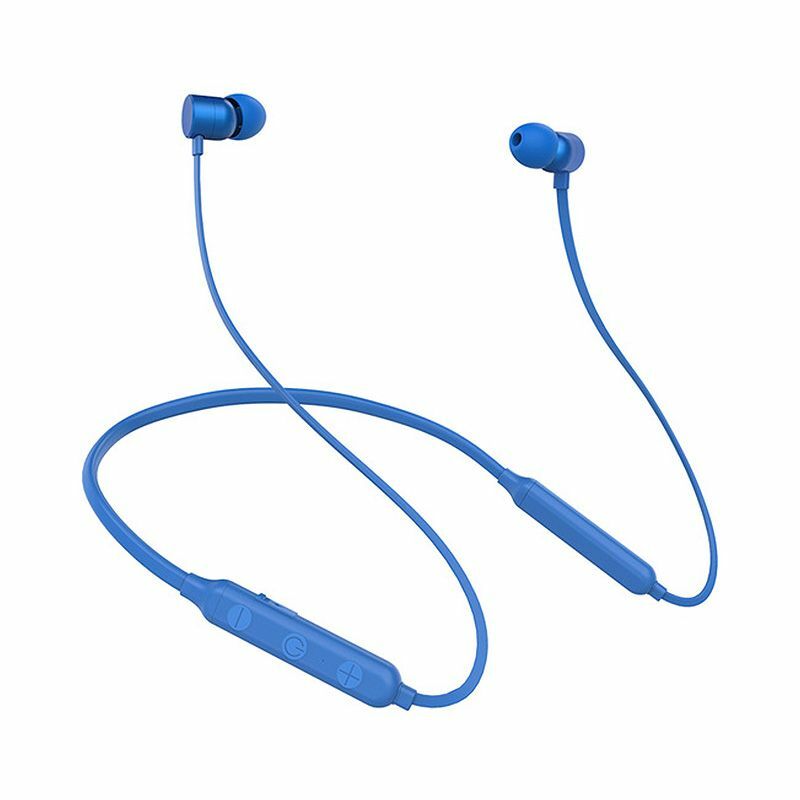 ● Imported bluetooth chip CSR4.2 keeps the volume at a safe level. 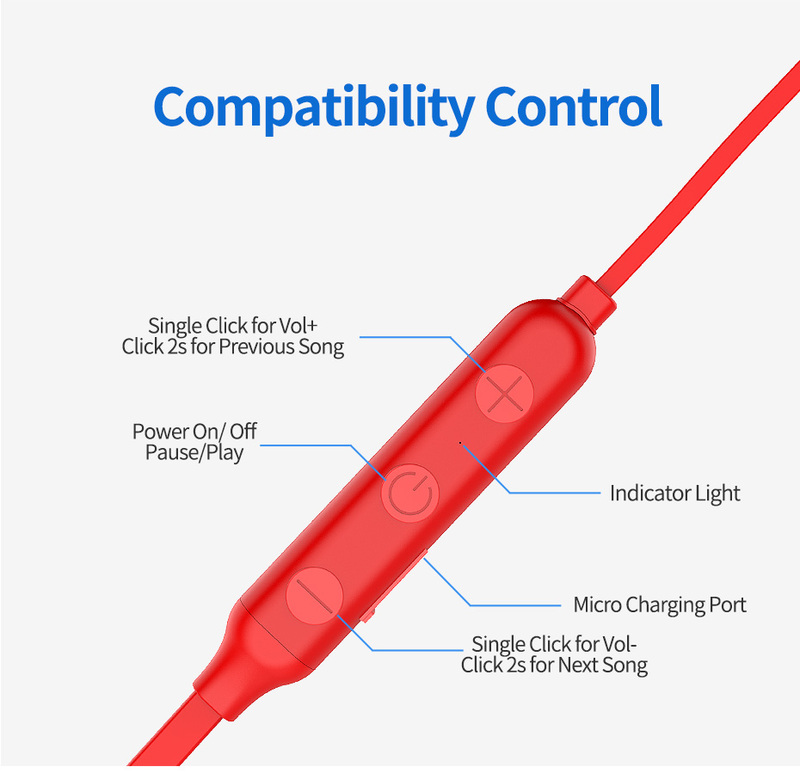 stable connection in all directions within 10 meters. 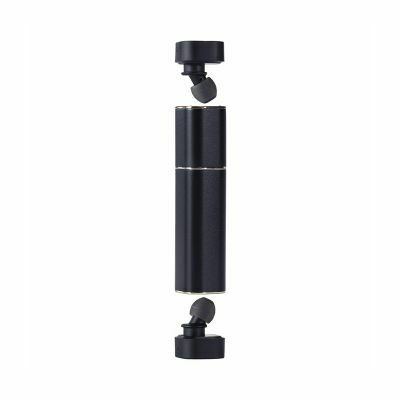 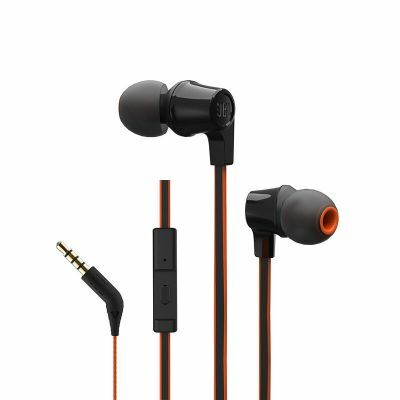 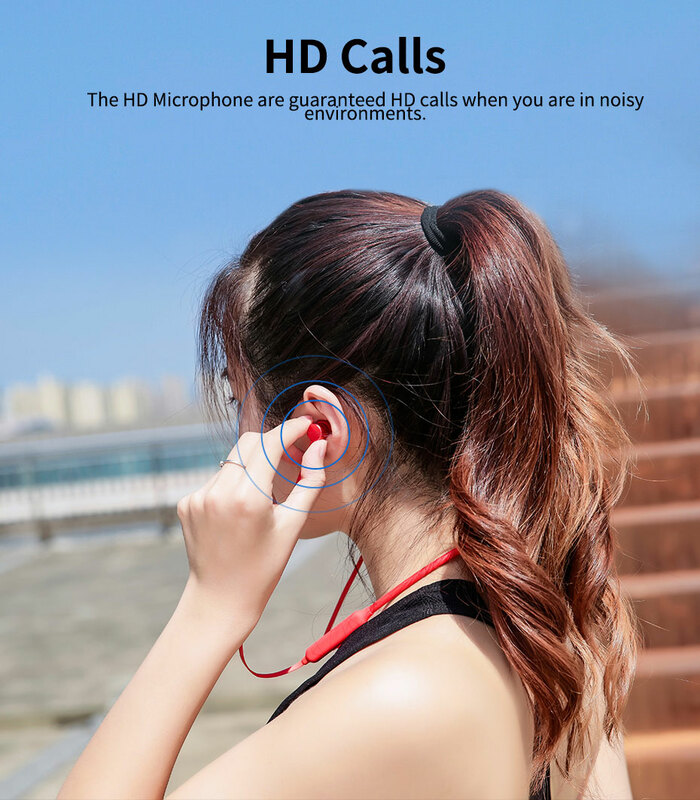 ● CVC6.0 noise reduction function, provide a perfect shocking sound quality. 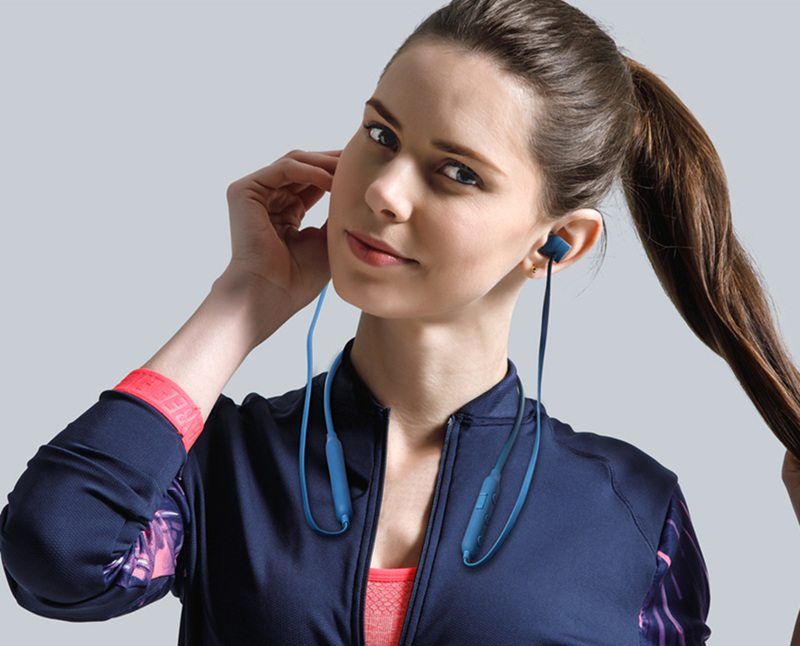 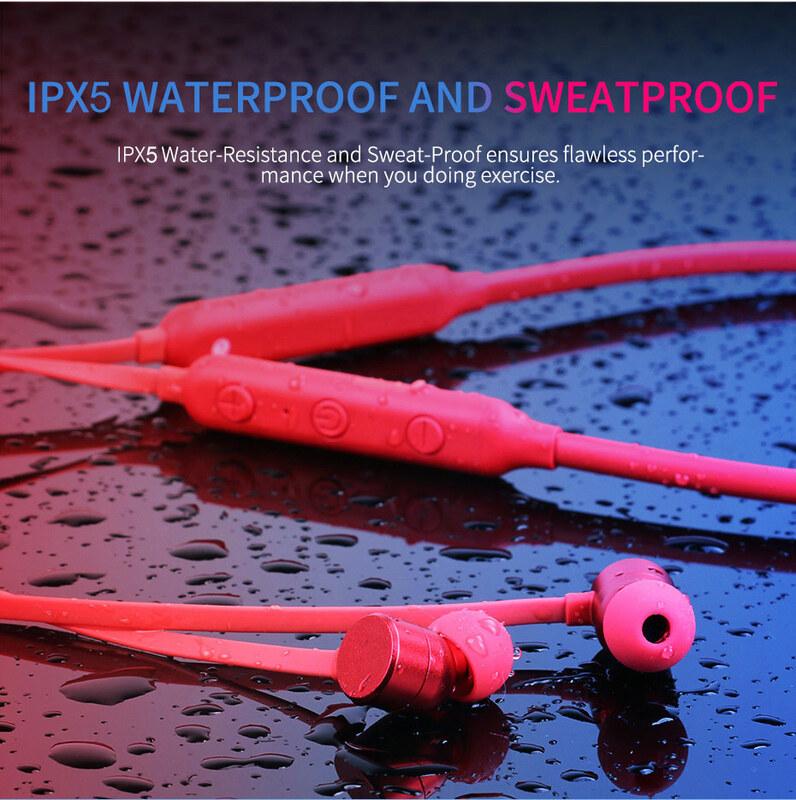 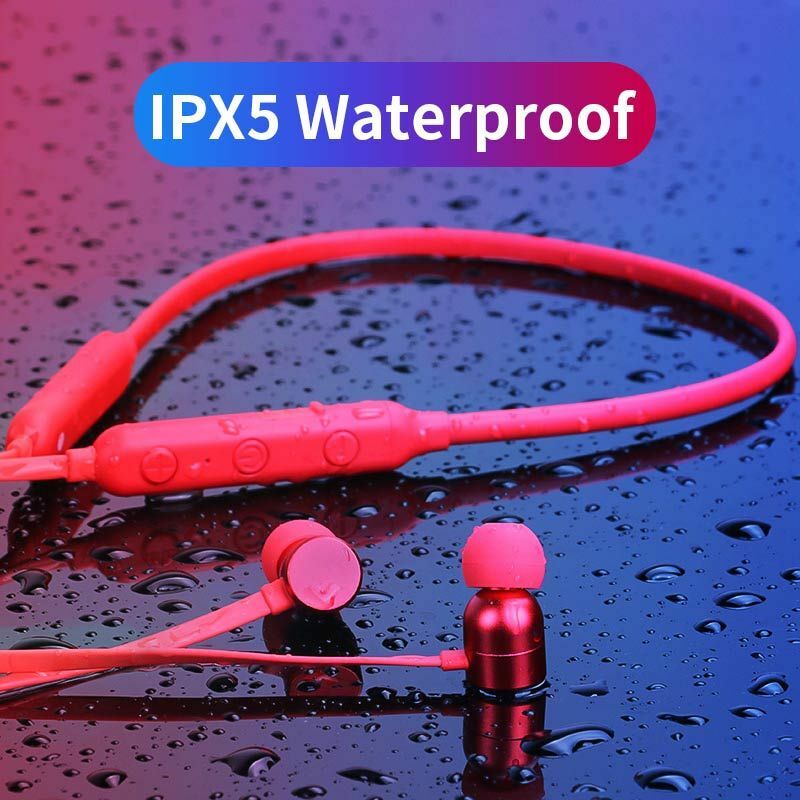 ● IPX5 waterproof design, you do not need to worry about rain and sweat when doing outdoor sports. 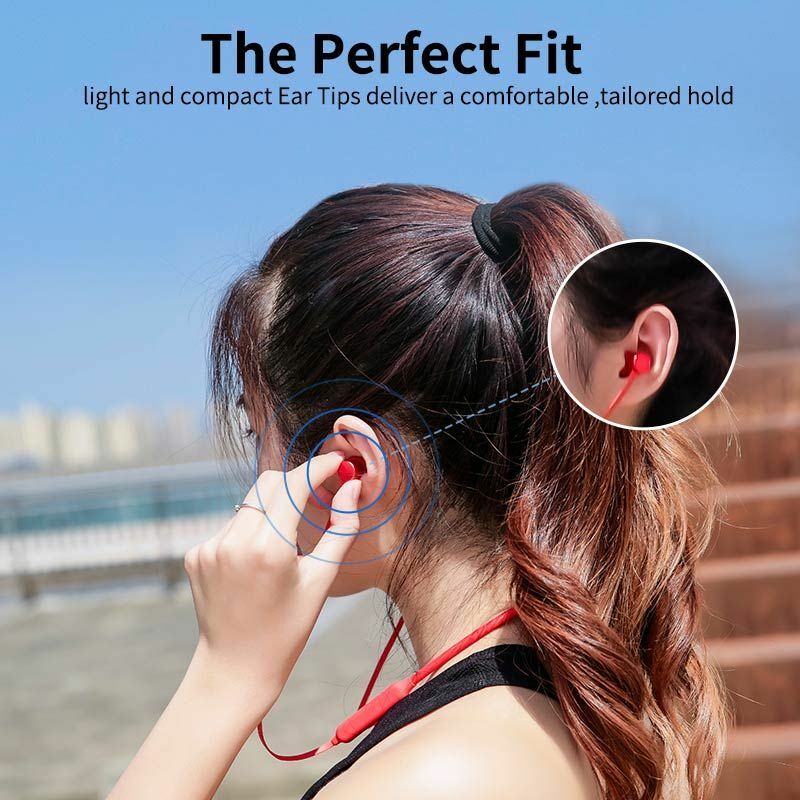 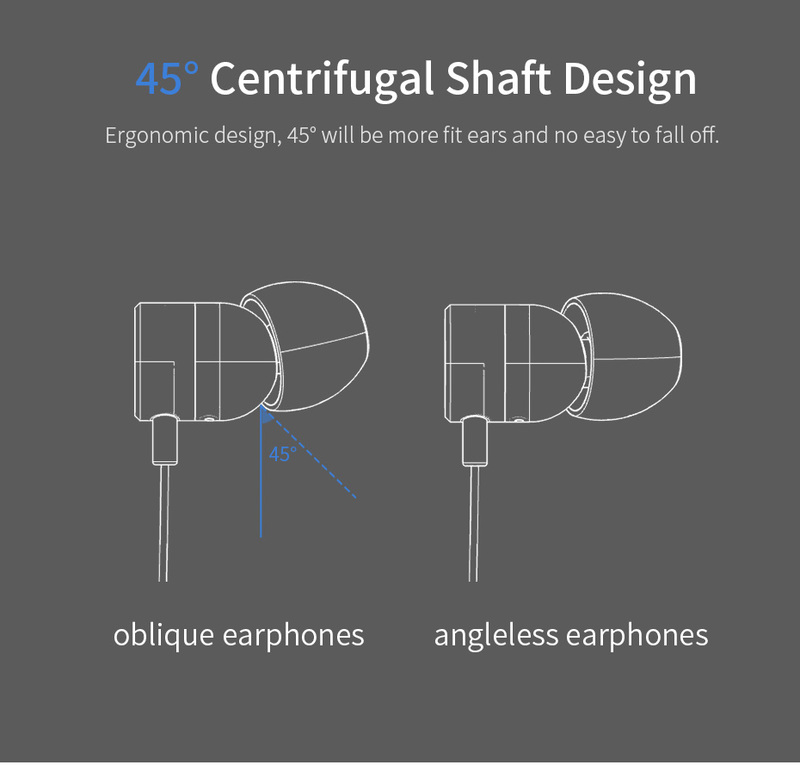 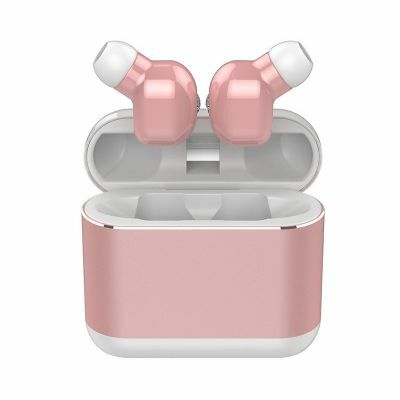 ● Oblique to the ear + oblique ear design, comfortable and safe, do not worry about falling or annoying. 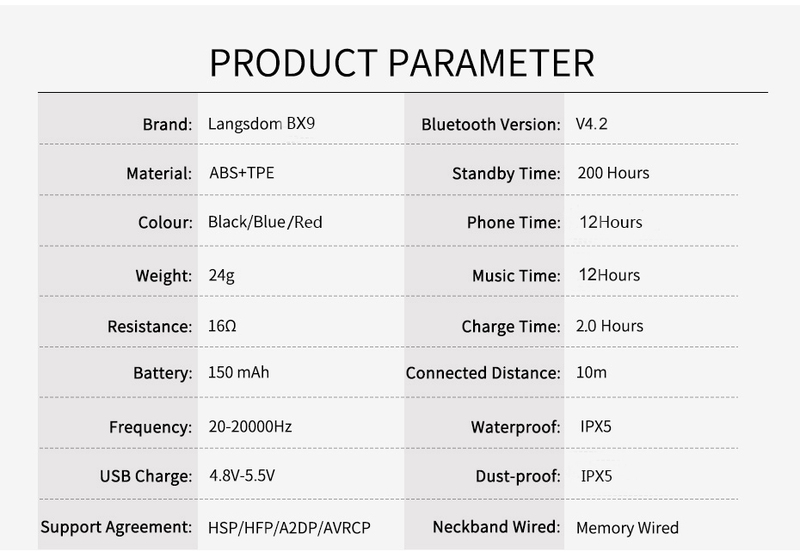 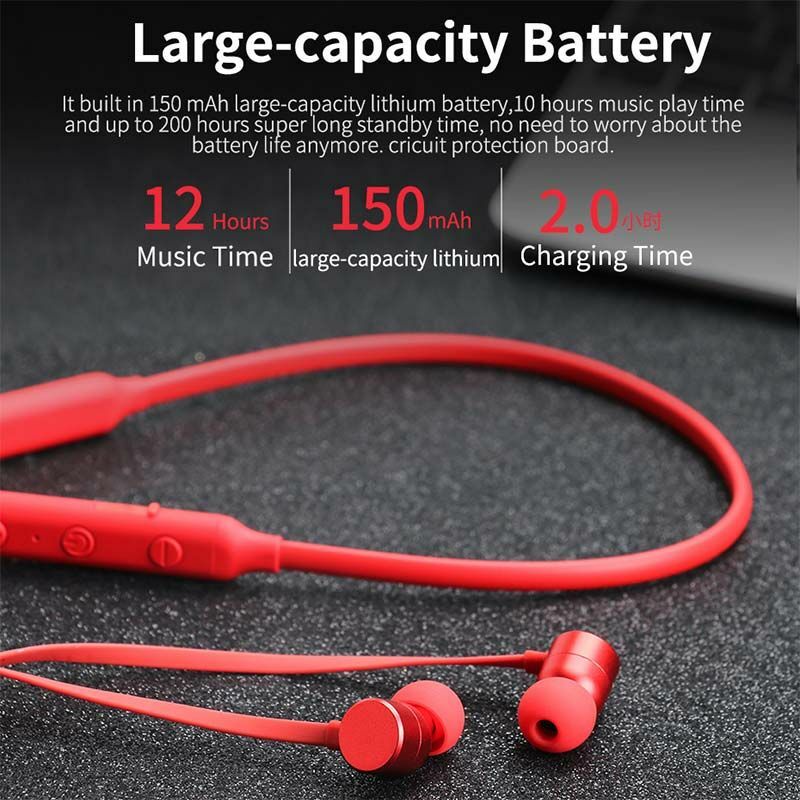 ● Battery capacity of high quality polymer: 150MAH. 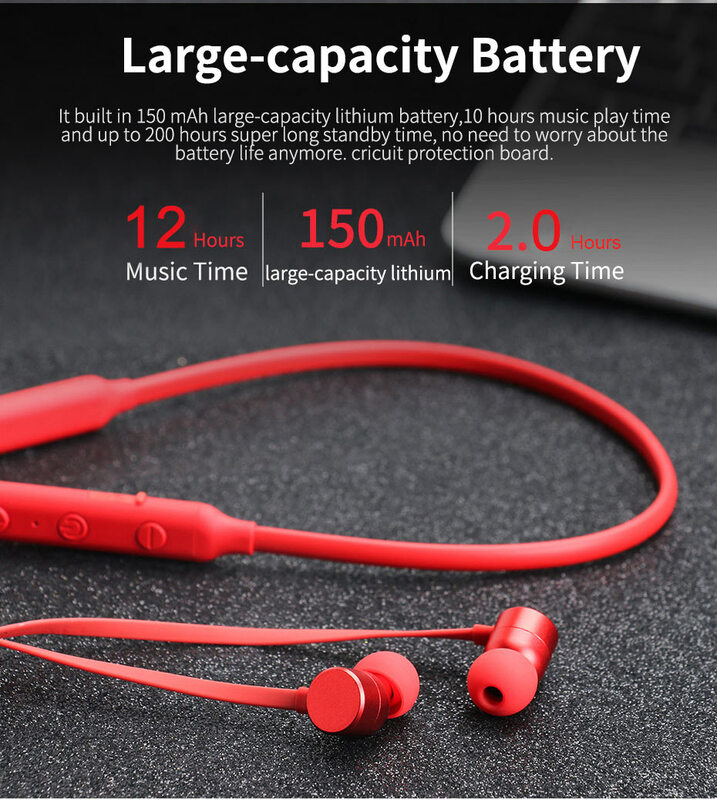 Standby time 200 Hours, to meet your needs. 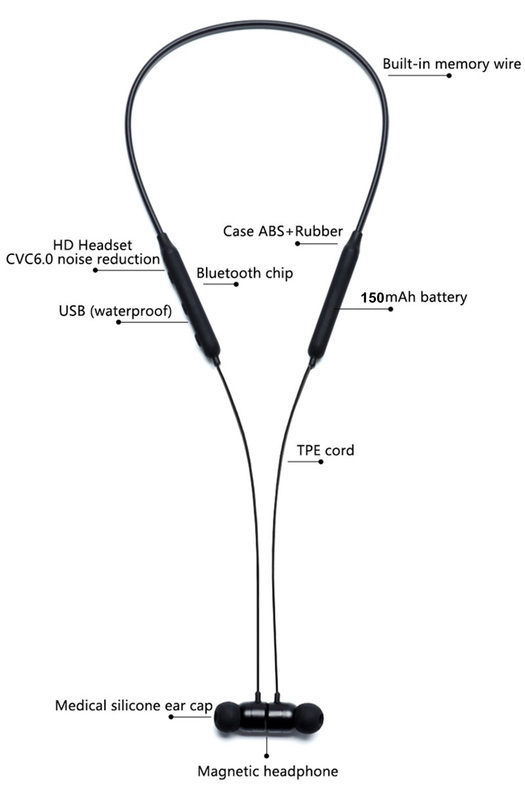 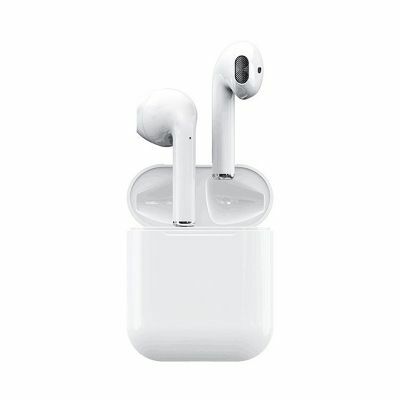 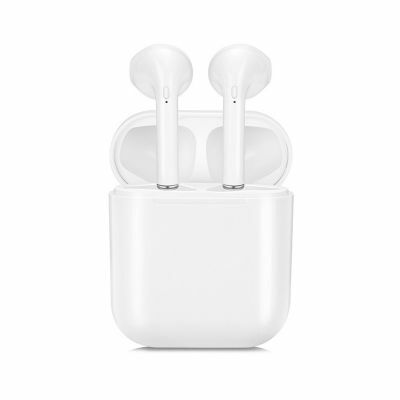 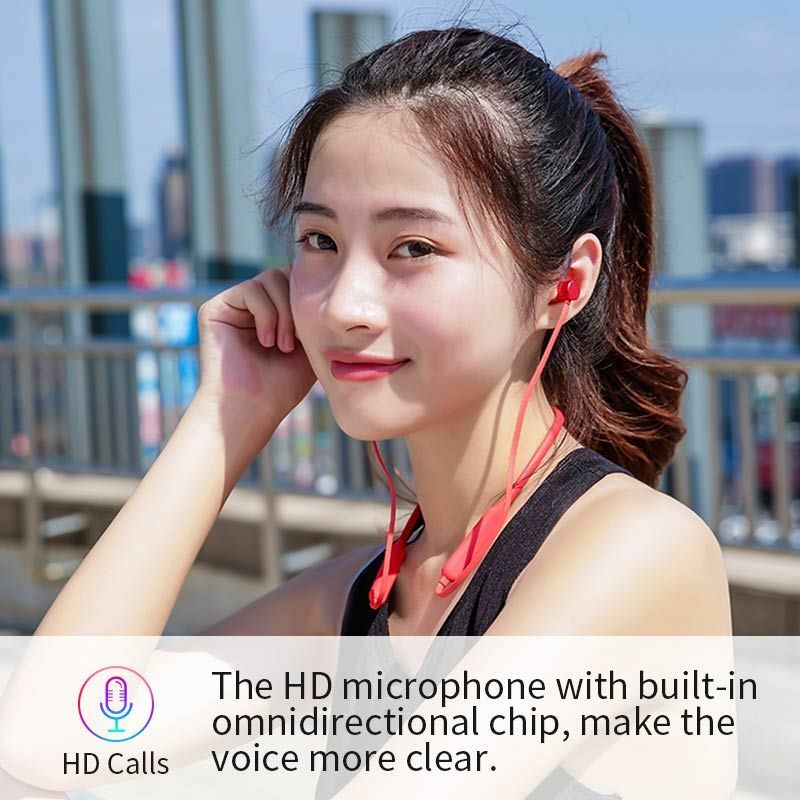 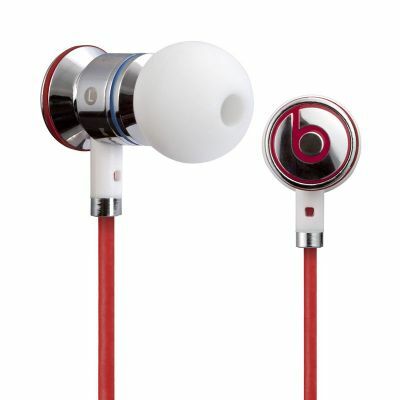 ● Voice command to answer / reject calls, control music and calls from the headset, easy to operate. 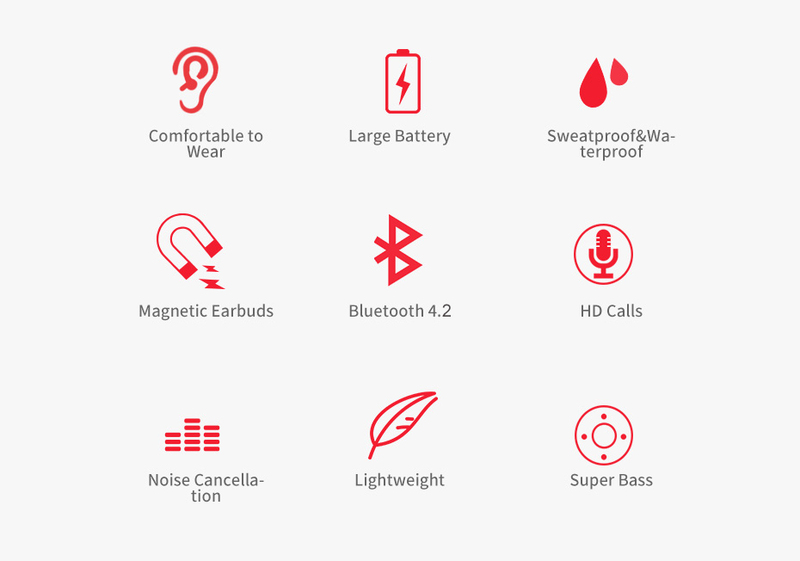 ● Hands-free calls, allow you to answer the call at any time and anywhere, free your hands and travel safely. 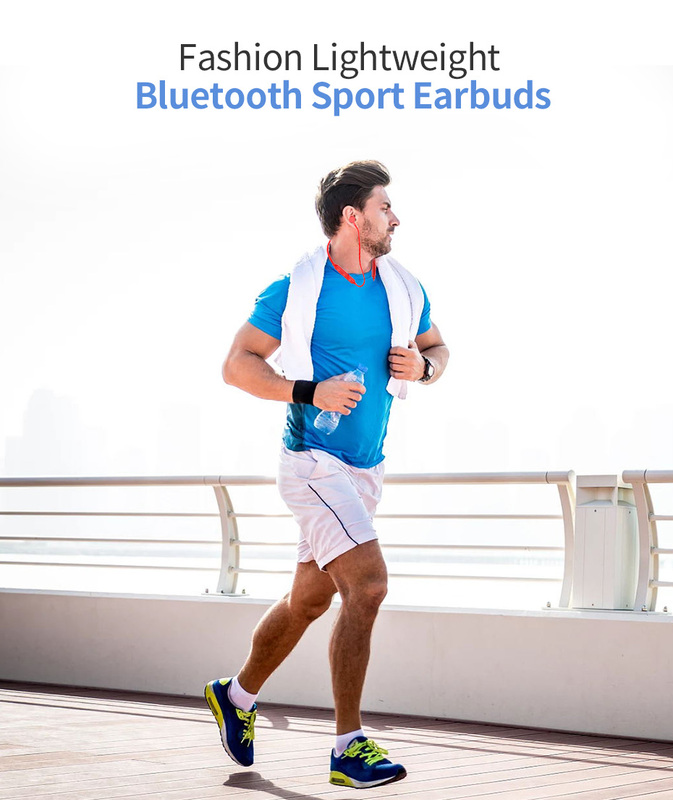 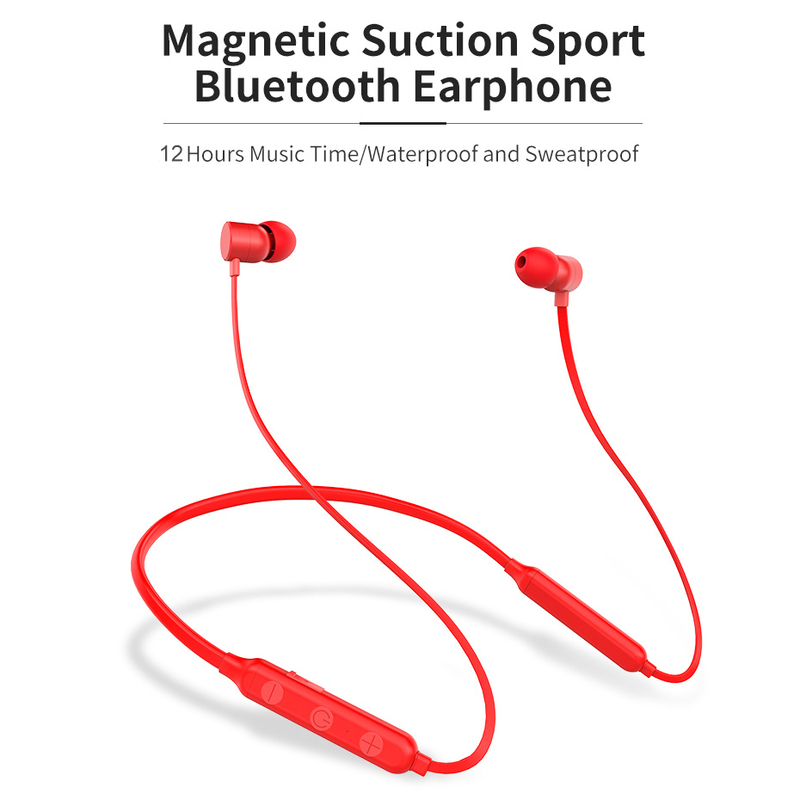 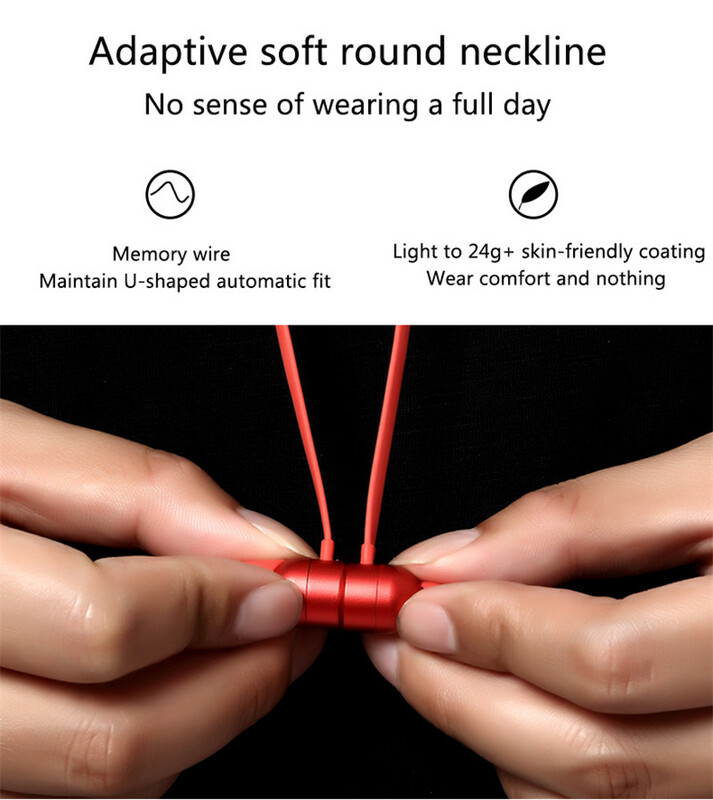 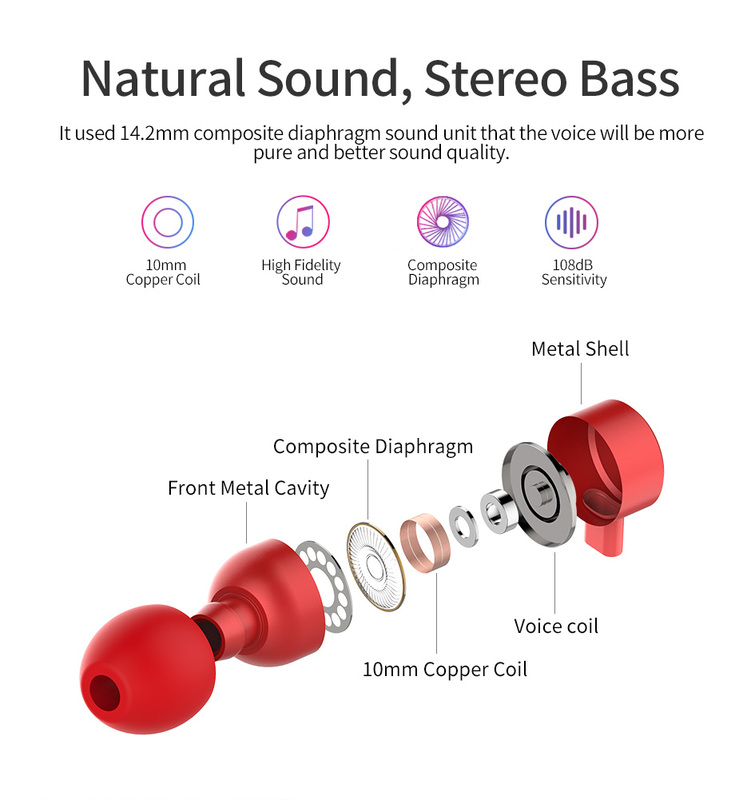 ● Compatible with 99% of Bluetooth devices, tablets, cell phones, computers and other digital devices in the market.